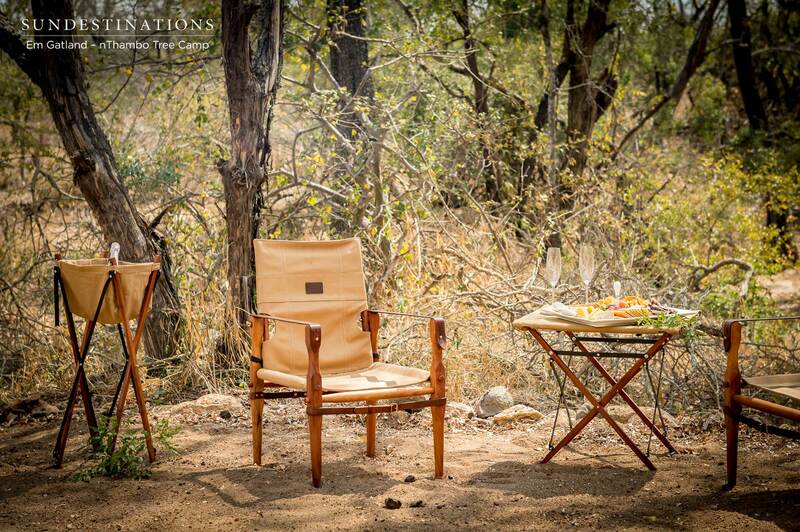 Imagine a sophisticated honeymoon sundowner experience that marries harmonious scenic surrounds with bushveld elegance. 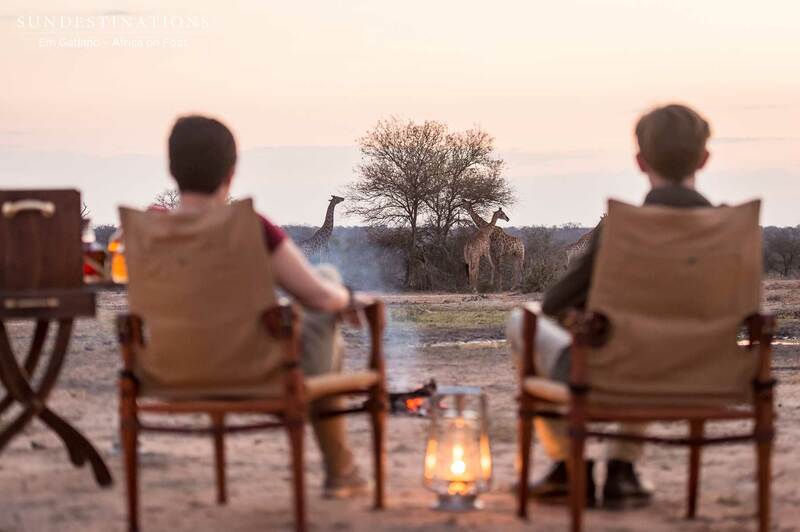 Our latest added value safari experience lets you indulge in a unique, pre-arranged sundowner escape with a touch of safari style that lends itself to an atmosphere of a bygone era – where things were traditional and classic. 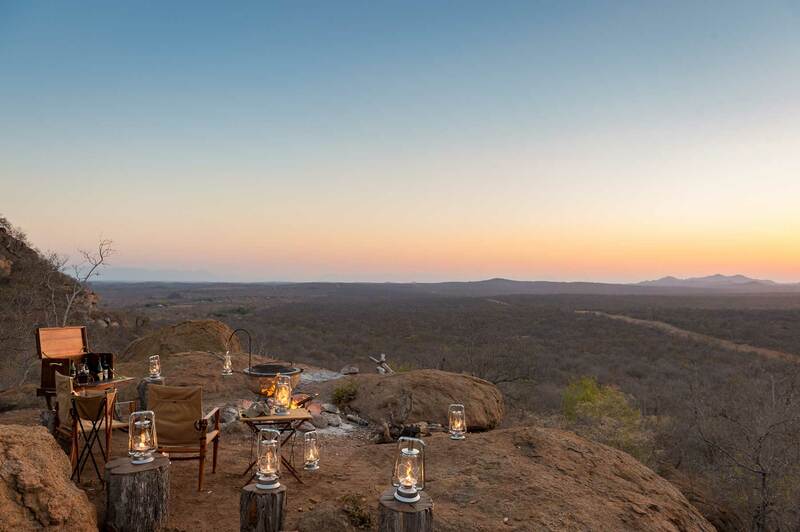 This is the ultimate intimate sundowner experience for those die-hard romantics that desire an iconic safari experience combined with practical decor elements to enhance the much celebrated of golden hour. 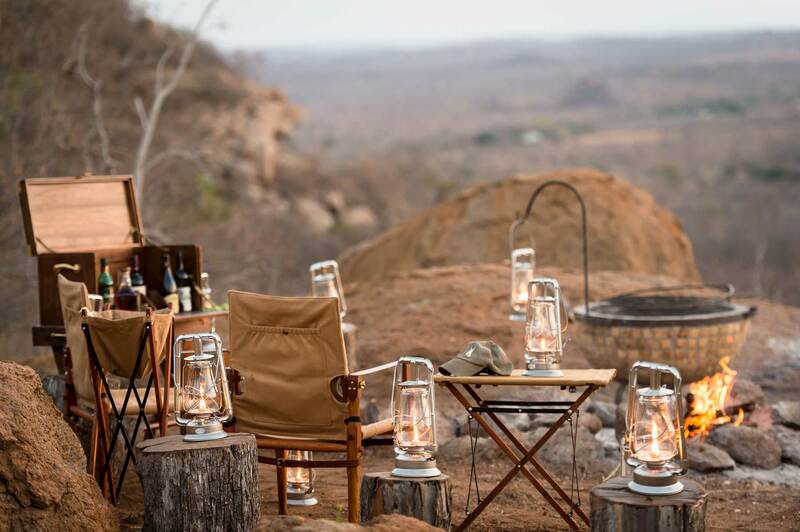 While you’re cheers-ing to a blissful life ahead with your glass of fine champagne and the trumpeting of elephants in the background, we ensure that your entire bar, seating and sundowner set-up are furnished with the latest products from Melvill & Moon – purveyors of high-end craftsmanship and handmade safari gear. 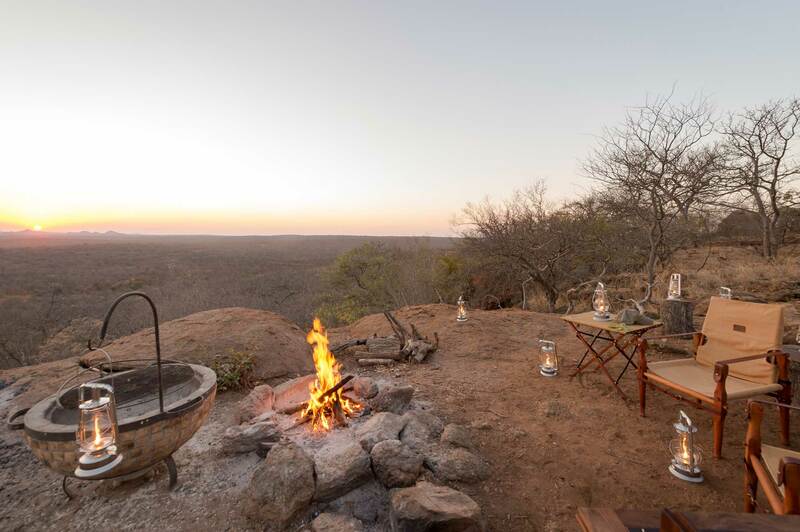 Melvill & Moon are classic safari outfitters with a history deeply entrenched in the bushveld and backed by an African heritage. 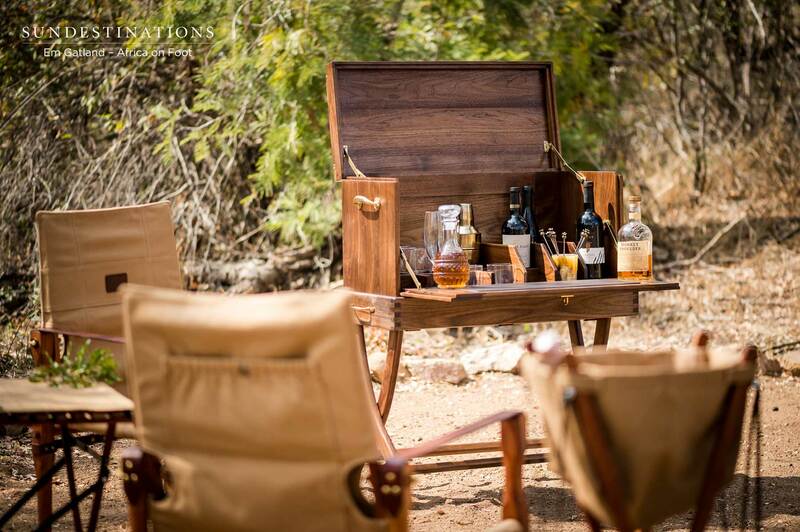 Carefully constructed sturdy canvas with colours reflecting the gentle hues of the ‘veld’s thickets and woodlands, handcrafted leather neatly sewed into camel colour tote bags; and mobile bars constructed from walnut and solid brass are just a few of the items available in their rather quintessential collection. 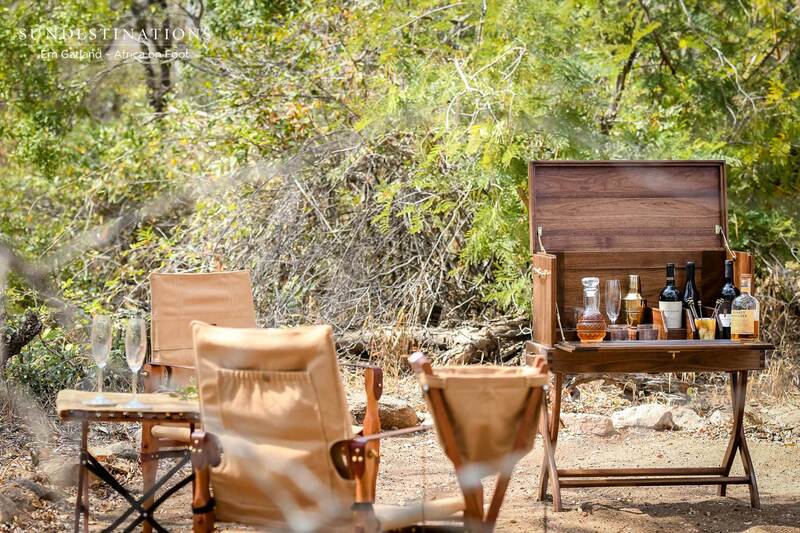 We’ve selected the top products from their collection to create a mobile bar set-up and sundowner spot in locations within the Klaserie Private Nature Reserve and the Maseke Balule Game Reserve, depending on which lodge you’re staying at. 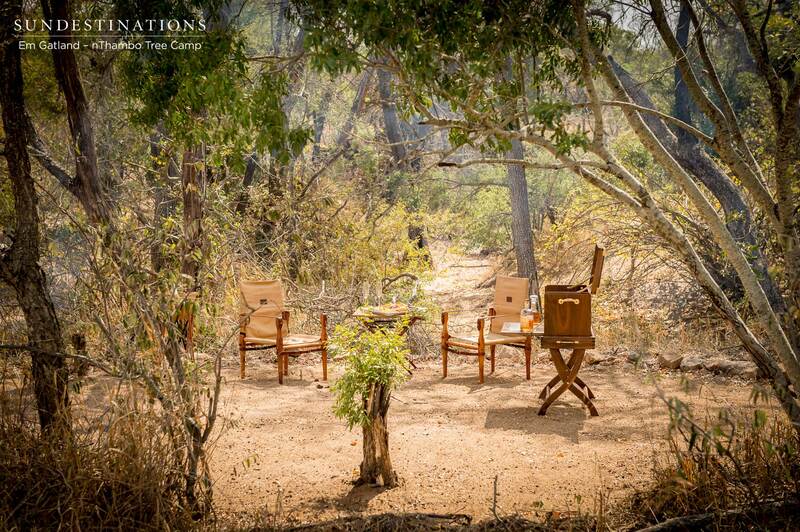 We’ve just recently enjoyed a set-up for two guests that decided to renew their vows, which was a roaring success. 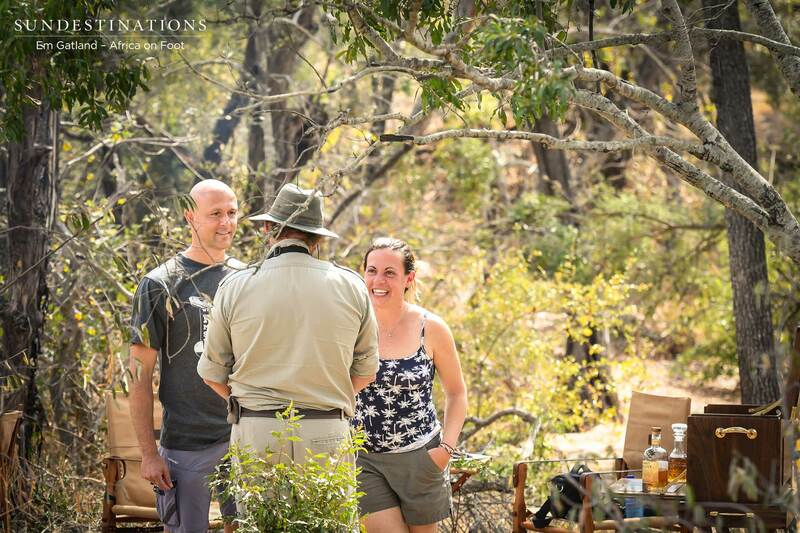 Rangers will actively seek out a special spot based on your requirements – rocks, open areas or close to drainage lines. 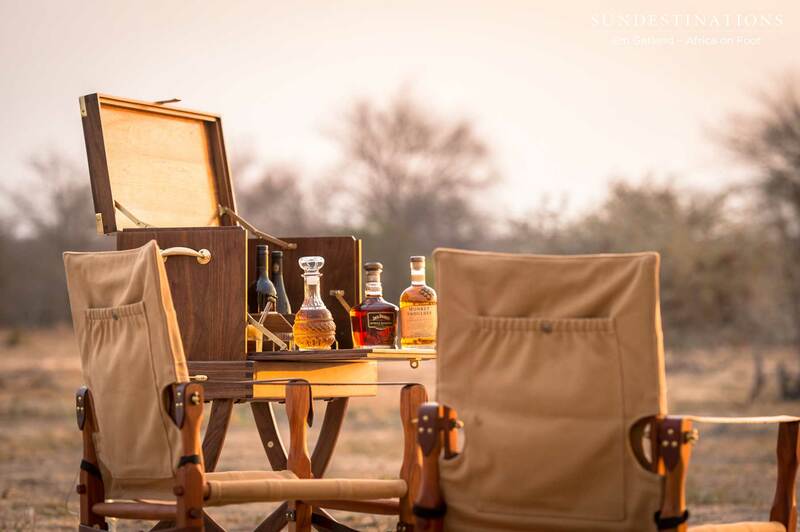 They will bring your drink of choice in the mobile bar, a plate of light snacks and anything else you need to enjoy the ultimate sundowner session. 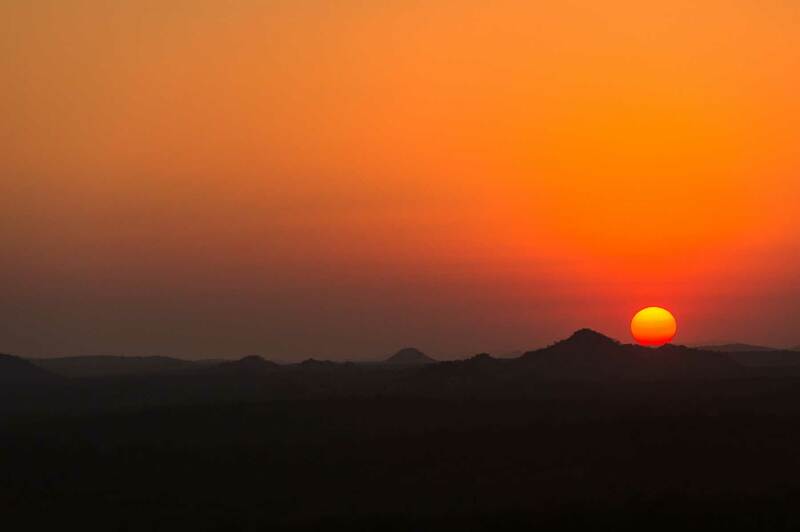 Watch the sky say goodbye to the bright turquoise sky and illuminate the landscape with its tangerine colours. 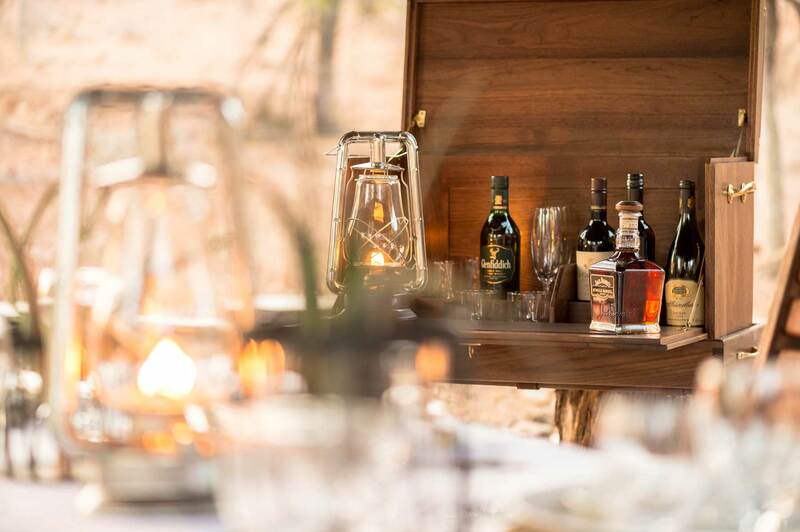 Melvill & Moon is a family run and owned business steep in an African heritage that dates back 8 generations. 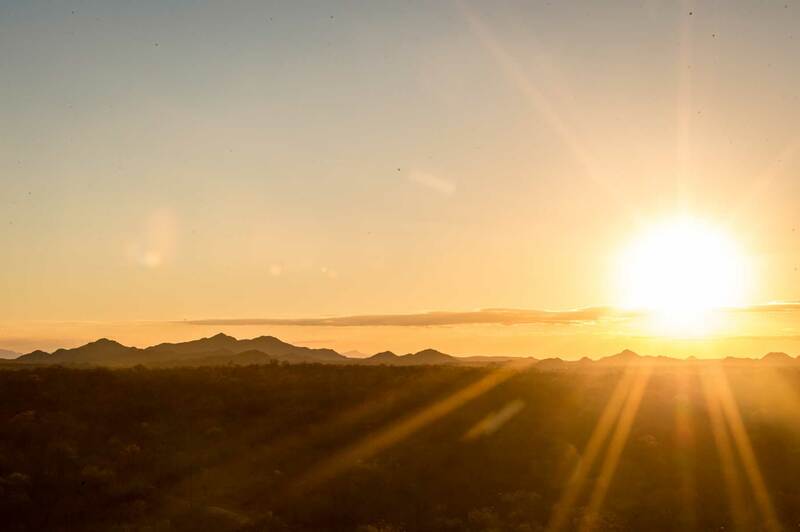 In the 1700’s the Melvill family arrived in southern Africa and established themselves as prominent land surveyors, cattle ranchers and soldiers. 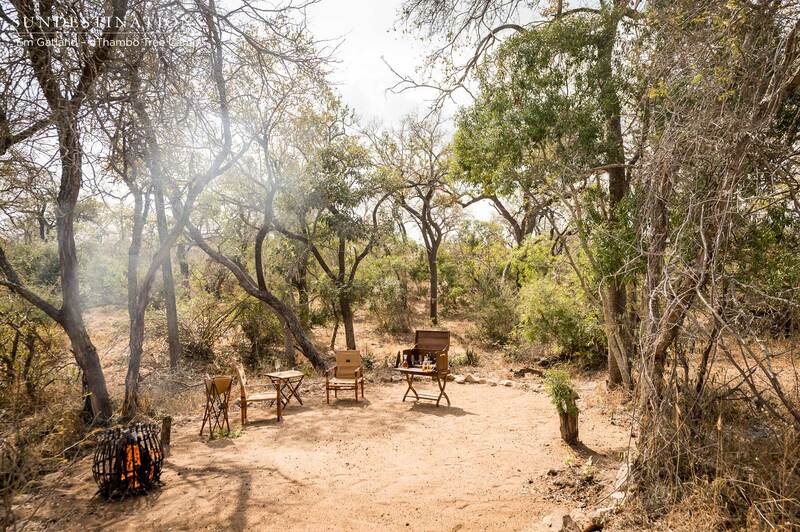 Their products, which include furniture, luggage, seat covers which all display a love of Africa and passion for safari. 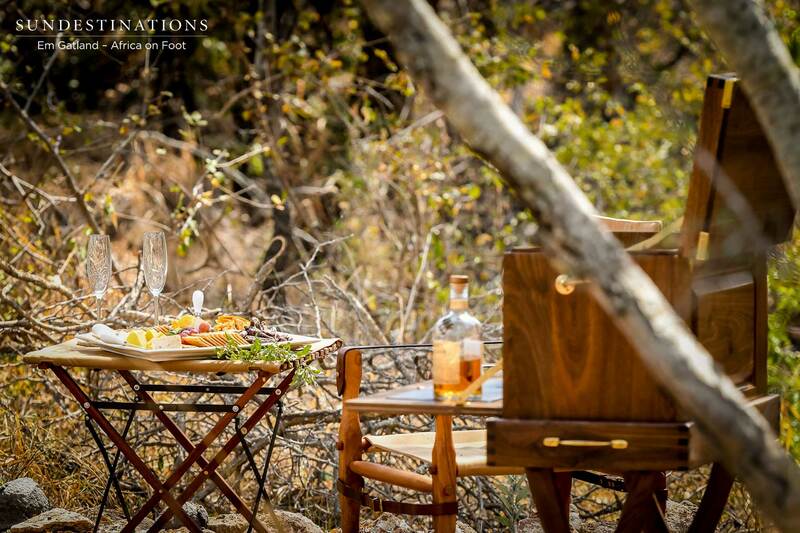 The essence of the design is the old/safari military campaign designs with an air of class and sophistication. 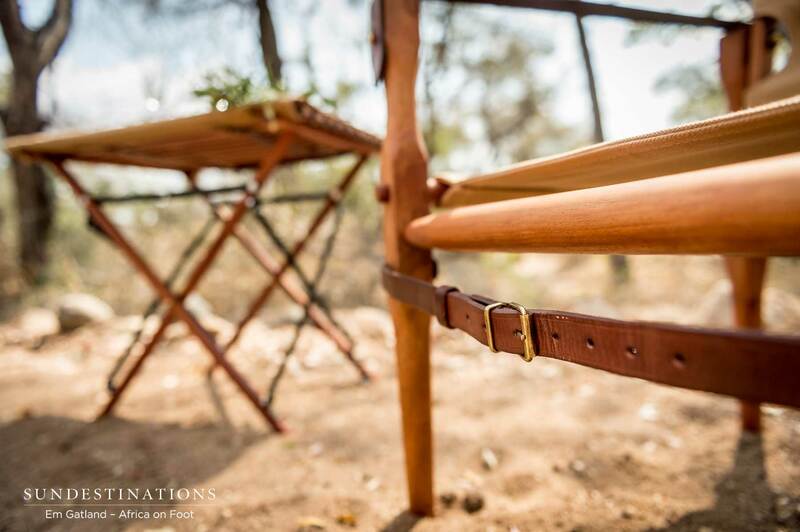 The idea is to create sturdy products made from authentic wood, 100% old fashioned canvas that lasts the test of time. 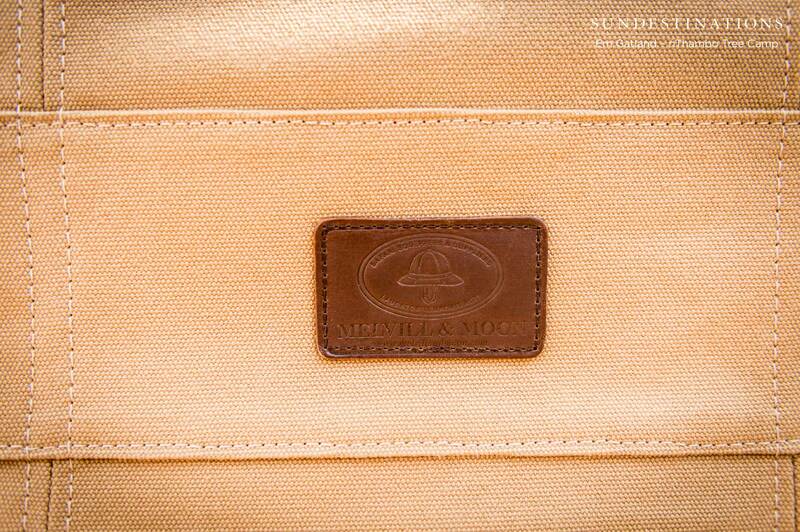 The trademark heavy quality materials and leather trim, make their products a cut above the rest. 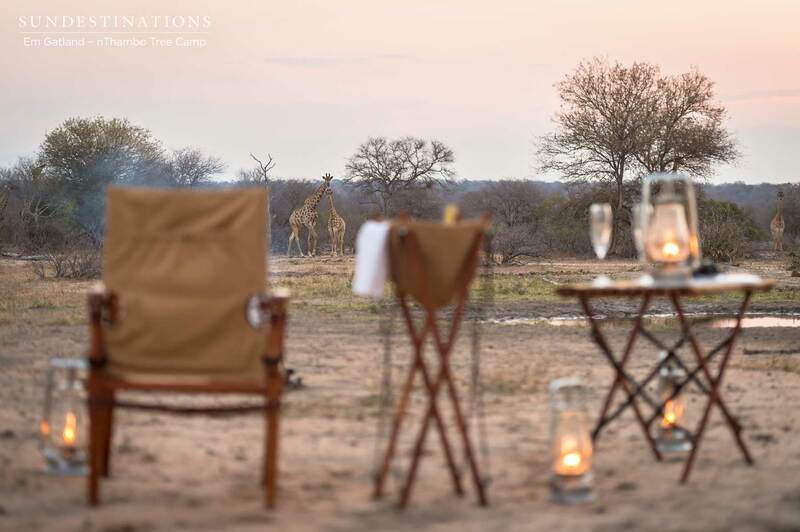 Our honeymoon safari experience is the epitome of an old-school grand safari experience. 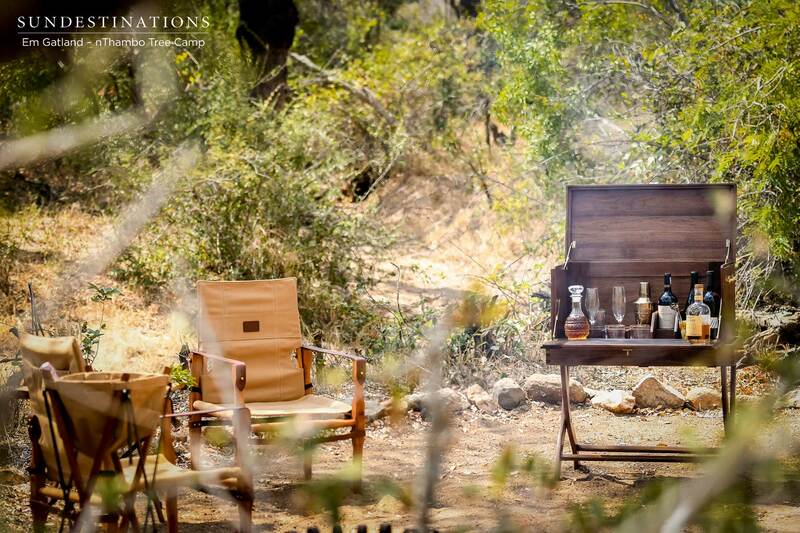 One that exudes a quiet romance with a sort of colonial rugged twist. Melvill & Moon, I presume? 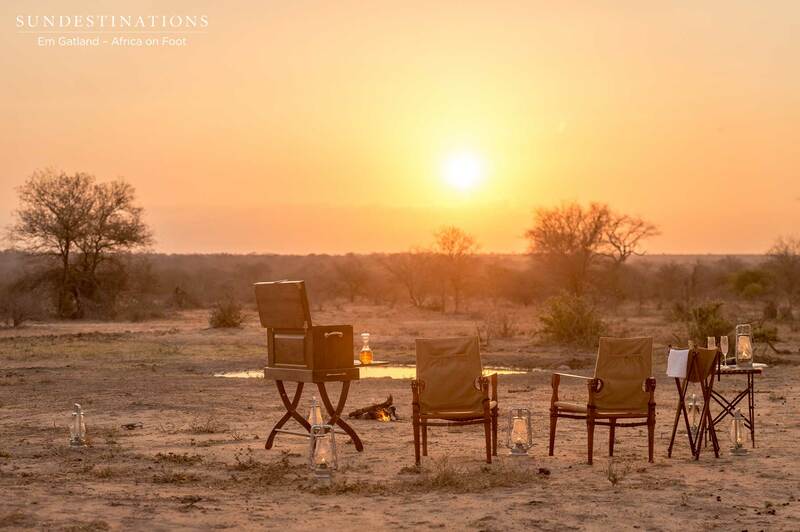 5 Responses to "Our Honeymoon Sundowner Experience with a Classic Melvill & Moon Safari Set-up"
Please send enquiries to reservations@sundestinations.co.za. 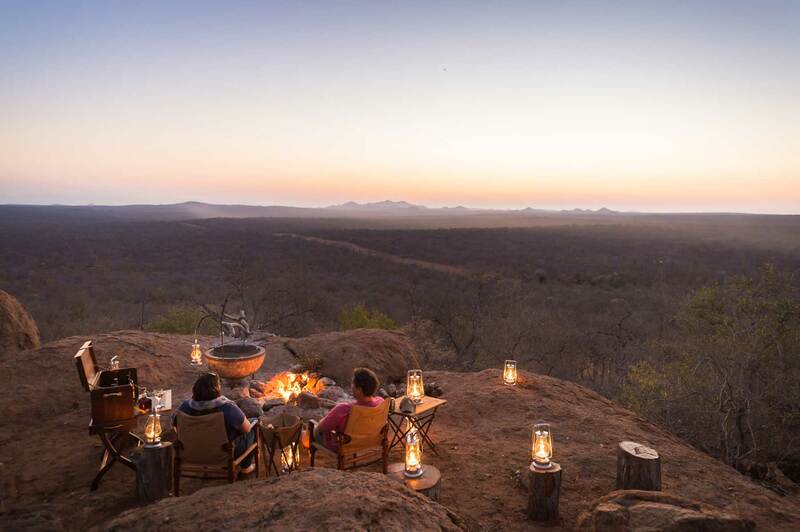 The sundowner experience is a special request, so you will need to let the reservations team know that you would like the Melvill and Moon Safari experience. 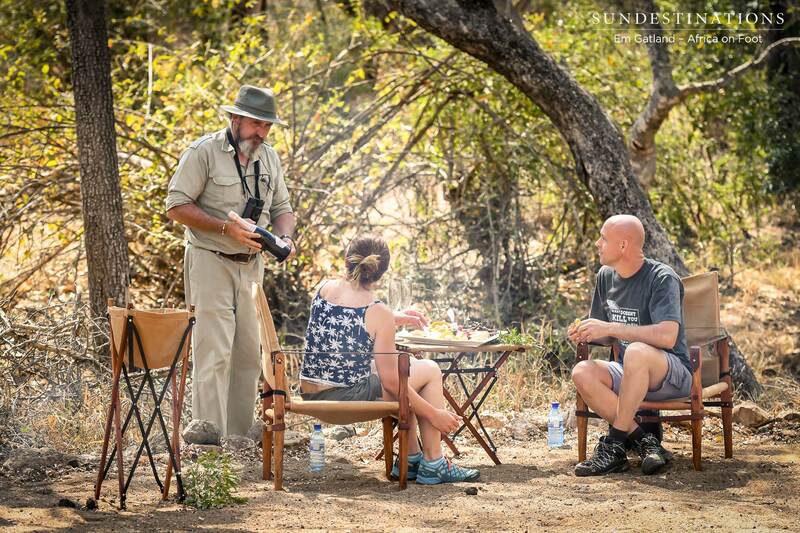 Hi how do we contact you to book? Please send more info. 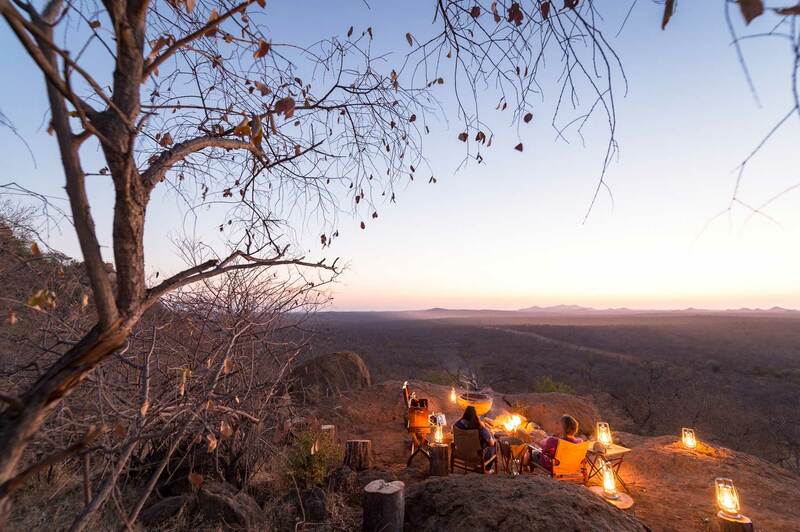 we want to go on November 30 to December 2 (3 nights). 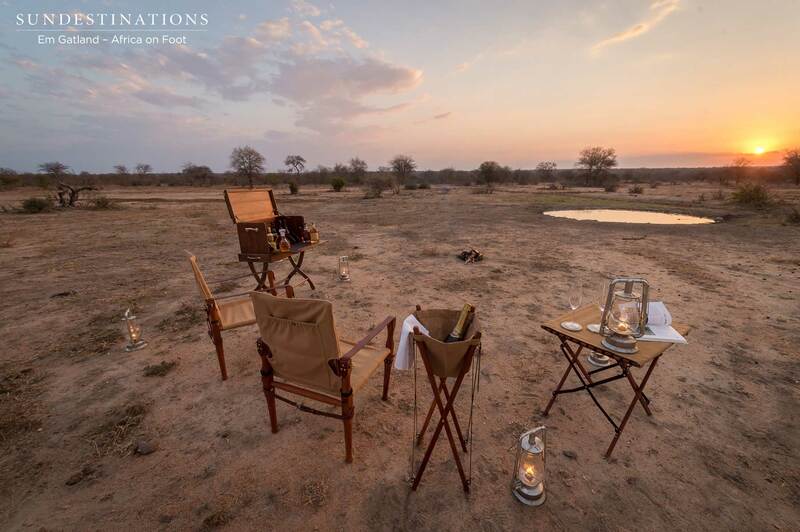 Please contact our reservations team to discuss the sundowner experience, and what you need from your safari experience. 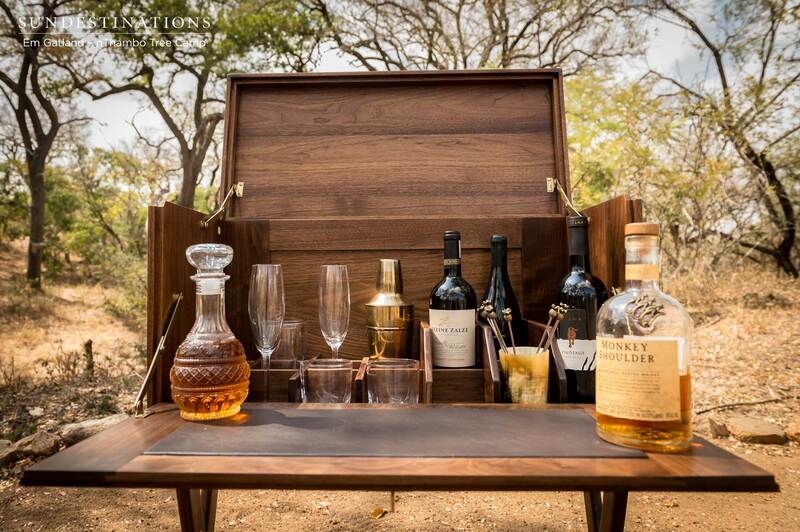 When chatting to them, please mention you’d like the Melvill and Moon sundowner set-up.